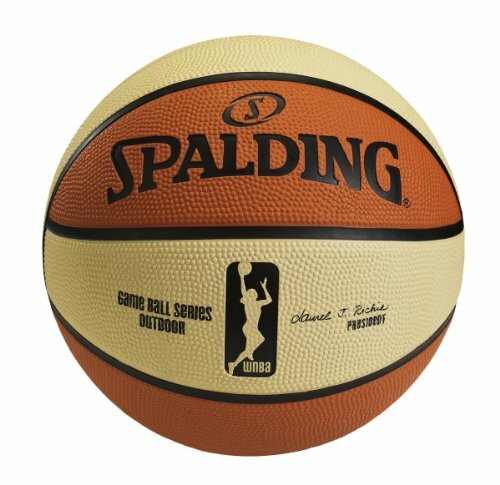 Competitive Edge are happy to offer the fantastic 73774 Spalding WNBA 6-Panel Design Outdoor Basketball, 28.5-Inch. Ball features an oatmeal/orange color. Has a performance rubber cover. Ball is official WNBA size & weight and is designed for outdoor play and has 6-panel construction. It all started on April 24, 1996 when the National Basketball Association (NBA) officially announced the founding of the Women's National Basketball Association (WNBA). Since the WNBA's inaugural season in 1997, the league has grown from 8 teams to 12 and has included the likes of Sheryl Swoopes, Rebecca Lobo and Lisa Leslie. As the league has grown and champions have been awarded, the one constant through it all has been the official game ball. Since the very first game, Spalding has been the proud supplier of the WNBA Official Game Ball. Our WNBA replica rubber basketball has a six panel design that looks just like the real thing. This basketball is recommended for outdoor play.